Thank you for joining us for the New Something Challenge and we hope you will all join us again this week too. 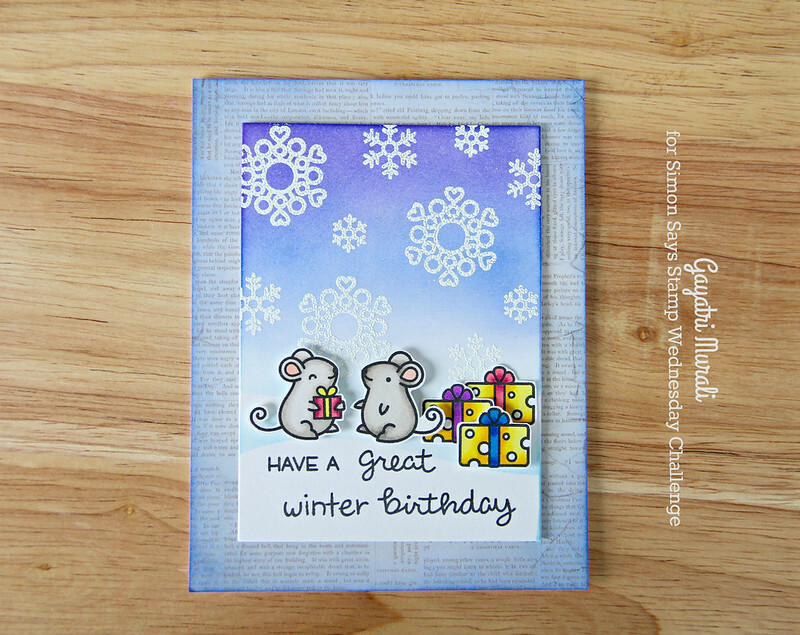 I used Lawn Fawn’s Merry Christmouse stamp set which is a Christmas stamp set to make a birthday card. 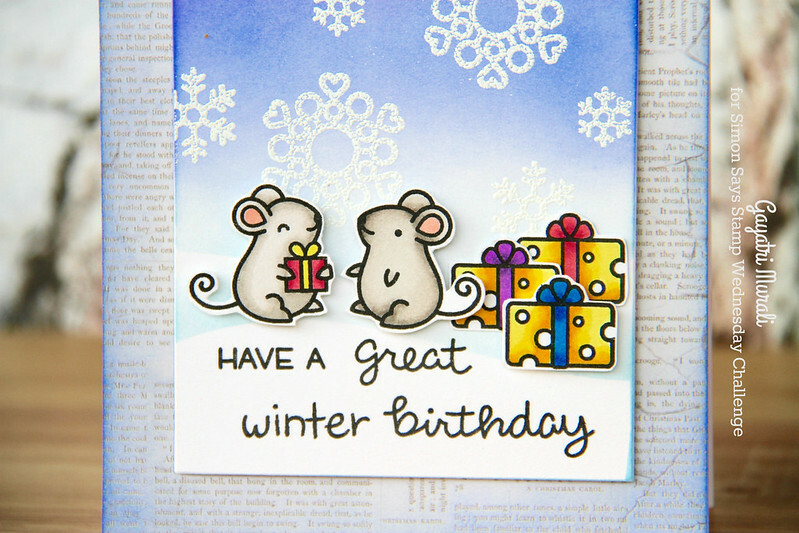 I stamped the mice and the cheese presents, coloured them with copic markers and hand cut them out. 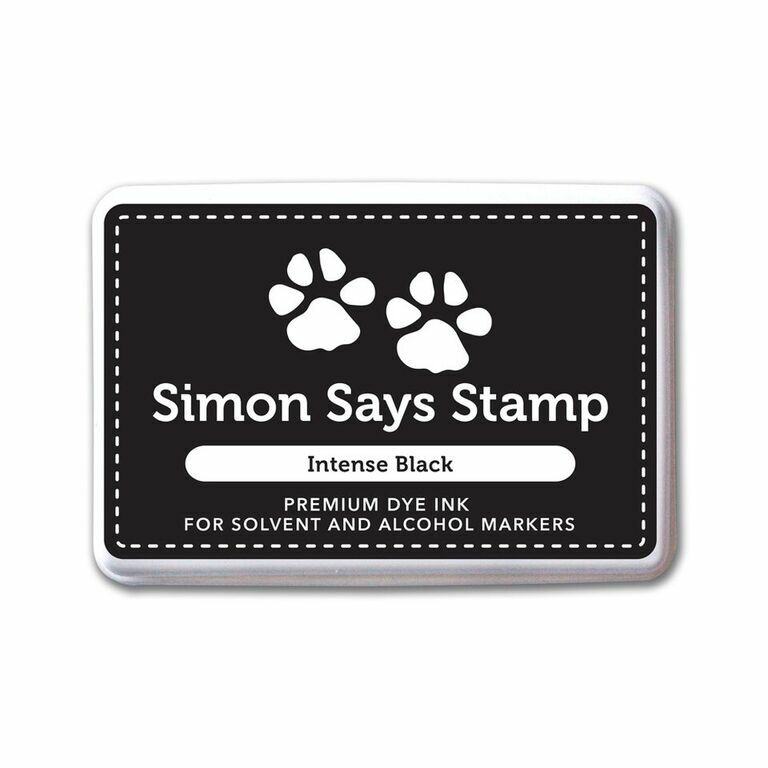 I don’t have the coordinating dies but they are available. 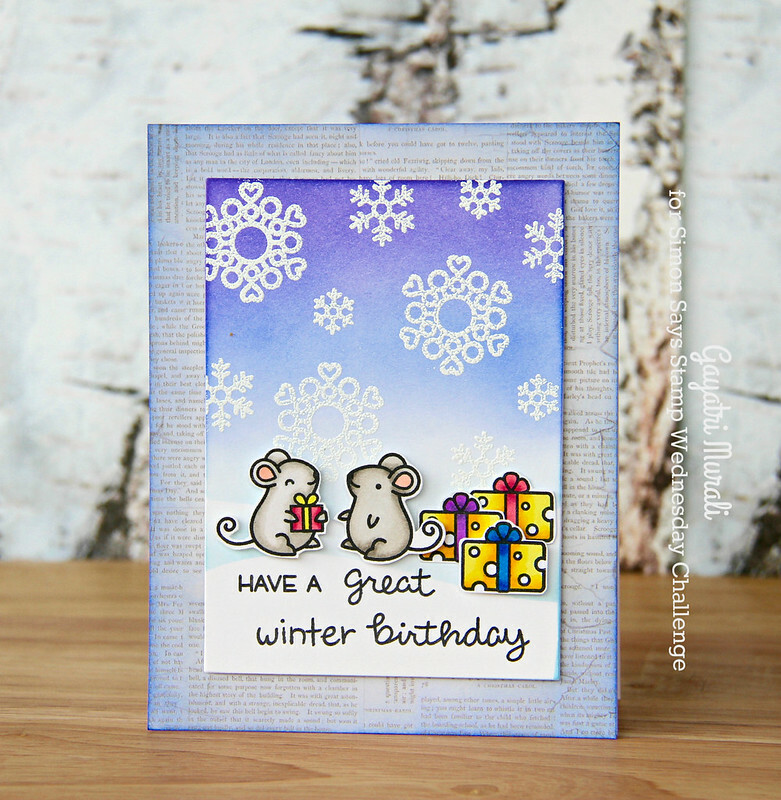 For the winter background, I white heat embossed the snow flakes from Simon Says Stamp’s Cute Snowflakes stamp set. Then die cut snow mound using masking paper and Simon Says Stamp Stitched Slopes and Hills. Then sponged the background using distress inks – Mermaid Lagoon, Blueprint Sketch and Wilted Violet. I removed the mask and stamped the sentiment from stamp sets – Merry Christmouse and Cozy Christmas. I adhered this panel on a script pattern paper from Kaisercraft. I sponged the edges with Blueprint Sketch distress ink. This completed panel is adhered to the card front. A darling scene, Gayatri, and I especially love the text used under your scene!